The largest of the standard homes, The Magna Bay can have up to 7 bedrooms. One Master Suite (with private bathroom) can be found on the lower floor. The remaining bedrooms are all upstairs. This home was offered with various options so the number of bedrooms can be anywhere between 5 - 7. The family room, kitchen and dining nook are to the rear of the home, with access to the pool area. 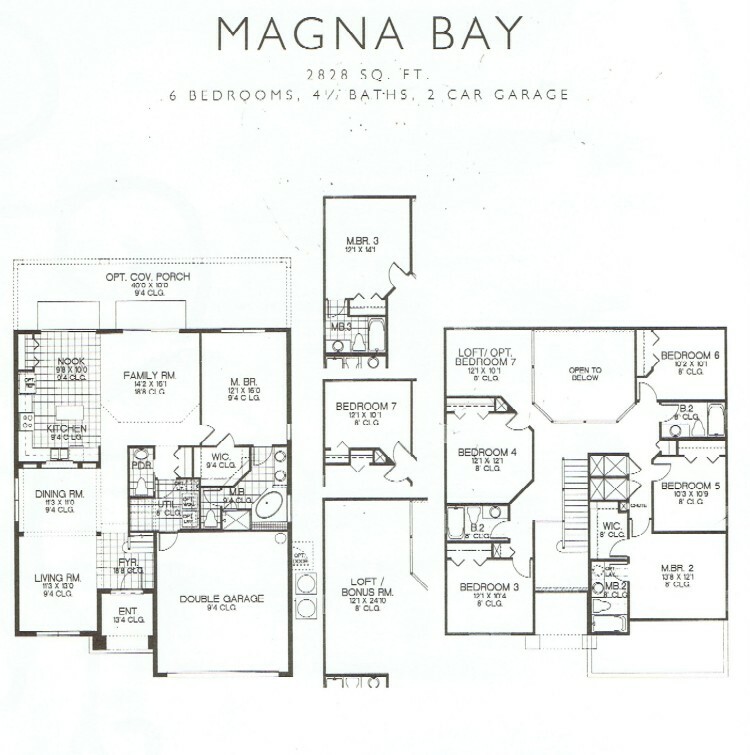 Some Magna Bay homes have the optional lanai which gives 400sq.ft. of shade for the family by the pool.